NO. 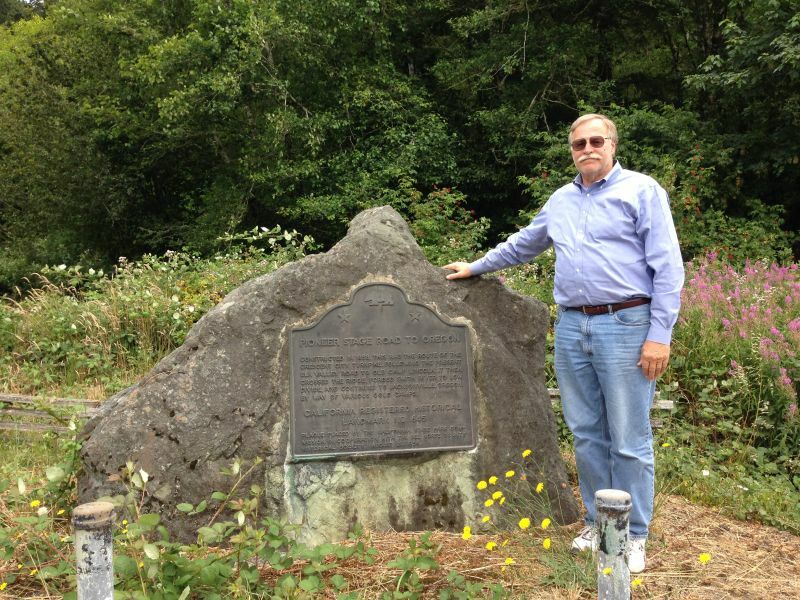 645 CRESCENT CITY PLANK AND TURNPIKE ROAD - This was the route of the Crescent City Turnpike, constructed in 1858. 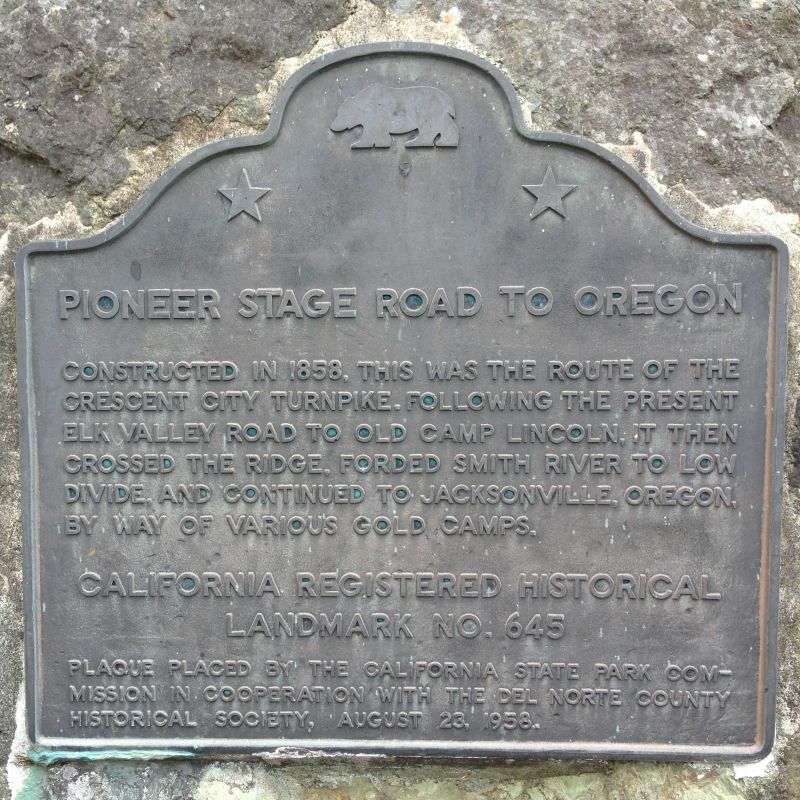 Following the present Elk Valley Road to Old Camp Lincoln, it then crossed the ridge, forded Smith River to Low Divide, and continued to Jacksonville, Oregon by way of various gold camps. Take Hwy 199 to Parkway Dr, go 1,000 ft to SE corner of Parkway Dr and Elk Valley Rd, Crescent City.